Goldman Sachs, the giant New York-based financial firm, found that there were two significant gaps in their distinguished portrait gallery of the firm's leaders. This collection included a masterpiece by Sir William Orpen (1878-1931), the brilliant Irish portraitist, who came to New York in the 1920s to paint the company's chief. 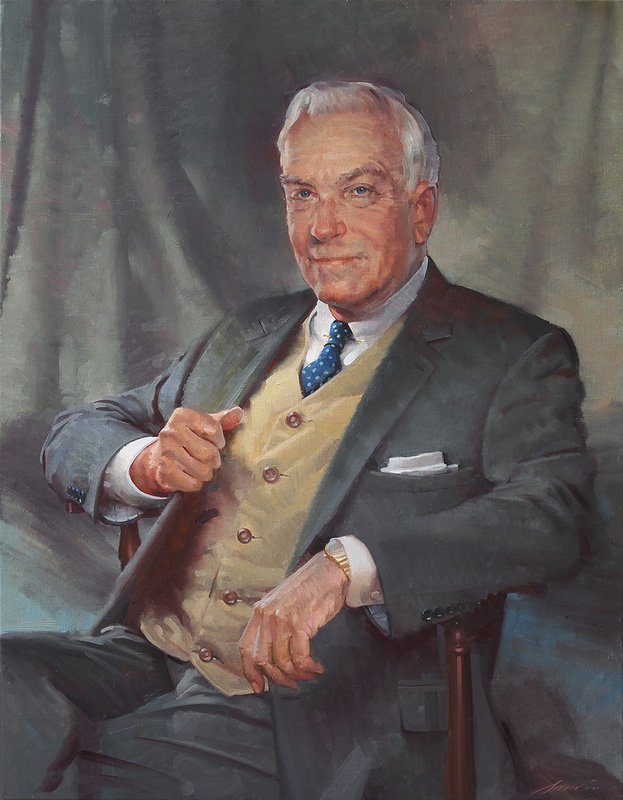 First, I was asked to create a painting of Walter E. Sachs, son of one of the firm's co-founders. Waddill Catchings was a flamboyant CEO of the firm in the early part of the twentieth century, having the misfortune to head Goldman Sachs at the time of the great financial crash of 1929. I tried to capture something of his charismatic, showman-like personality.